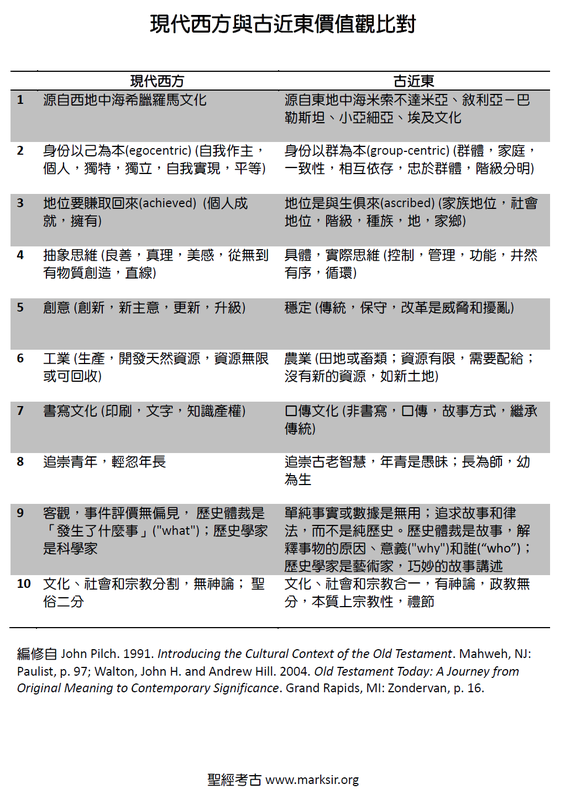 其中一個列表，是比對現代西方與古近東價值觀，資料編修自 John Pilch. 1991. Introducing the Cultural Context of the Old Testament. Mahweh, NJ: Paulist, p. 97，以及 John H. Walton and Andrew Hill. 2004. Old Testament Today: A Journey from Original Meaning to Contemporary Significance. Grand Rapids, MI: Zondervan, p. 16.